Batribike electric bicycles: Spring is Here! Spring has finally arrived. The winter seems to have dragged on for ages, there was snow and cold, then there was rain and just when we thought it might get warmer it snowed again! 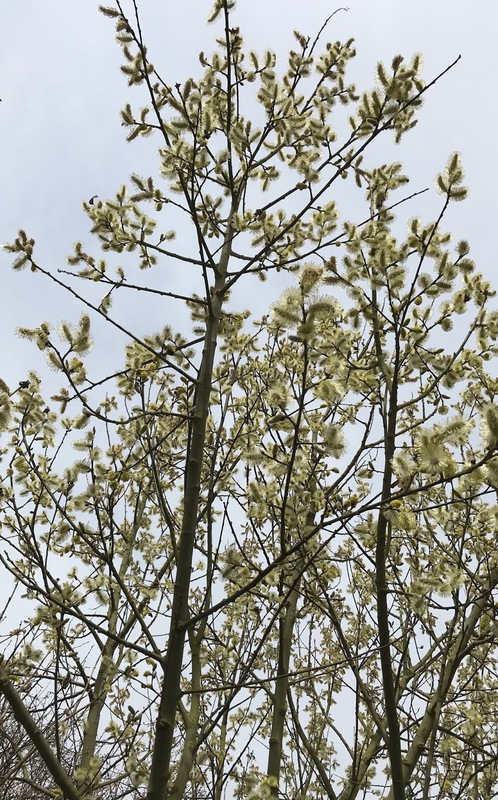 However, the birds are now singing their socks off and the trees are showing signs of green. 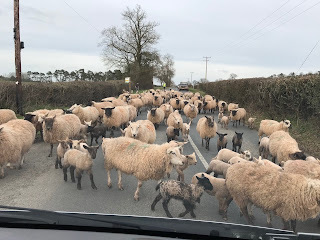 I have been out and about and it really is the time when everyone is thinking about getting out and cycling. 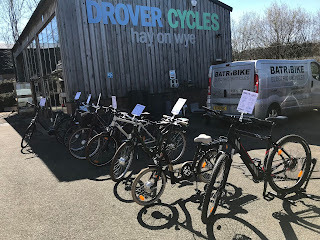 Firstly I have been to an electric bike demo day at Drover Cycles at Hay on Wye on the Welsh border. Usually the cold weather lingers there but last Thursday was a glorious day. The sun shone and potential customers were ready to test ride from the moment the bikes were unloaded from the van and the pedals were on. It was the perfect day for a test ride – it was like everyone was emerging from their winter cocoons and were ready to enjoy the outside world. After a brilliant day of chatting and showing off the bikes I packed up and headed for home. 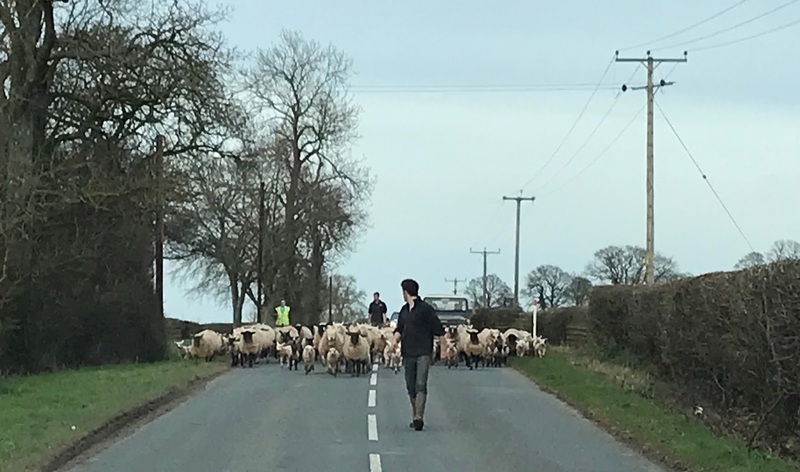 As I was heading out of Hay I rounded one country lane corner and saw someone indicating caution. I wondered what was ahead. 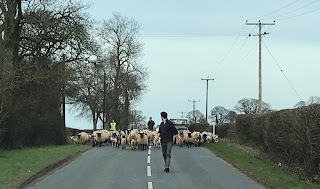 It was Sheep and lambs! 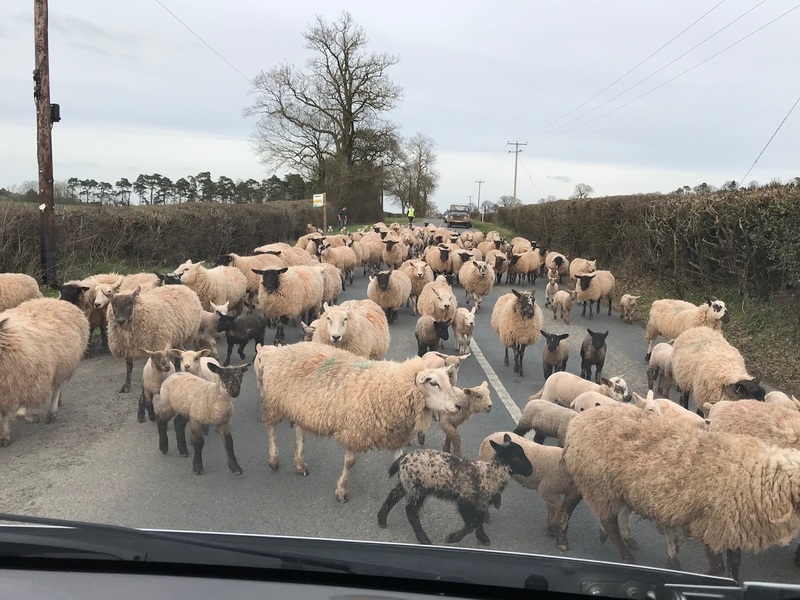 Coming up the road under guidance of their shepherd. They swarmed around the van baaing and passed on their way. 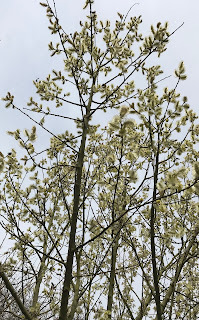 I took some quick pictures feeling that I had been truly “sheep bombed” and Spring is here. Last weekend we also went out on a family bike ride. I wanted to see if the cowslips were out in the local meadow. They are almost there, showing their heads but not open yet. 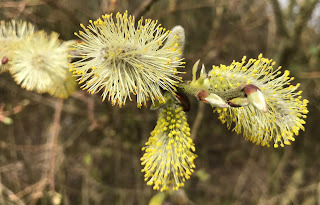 There were lots of catkins and other tree flowers out and plenty of leisure cyclists out enjoying the sunshine. A lovely ride out.